We have hosting solutions to suit the needs of all types of websites, large or small. If you are unsure what route you should take for your website, feel free to contact us and a hosting specialist will review your needs and assist you in choosing the best hosting plan. We are hosted with Rack911 in Las Vegas, NV. One of the leading infrastructure management companies in the industry. A dedicated server gives you the ultimate in control, power and security. 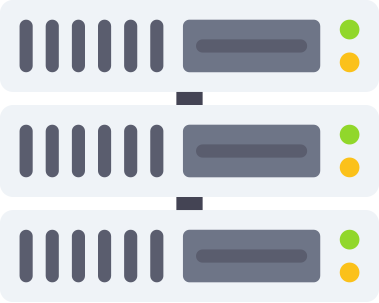 With your own server, there'll be no more noisy neighbors disrupting your website performance. You'll have access to all the server resources and horsepower you need for your website. A list of every feature! Below you will find our web hosting feature list, to insure your requirements are met. If you are a novice in web mastering it may seem a bit complicated. But don’t get confused because most likely we support all the web hosting features you’ll need to build and manage your site. Having doubts? Don’t hesitate to contact our support or sales staff and ask all your questions and concerns we’ll walk you through and help you find the best and affordable web hosting solution for your particular needs.